Well, it's official, today I have been a mother for 14 years. Fourteen years!! Where did the time go? 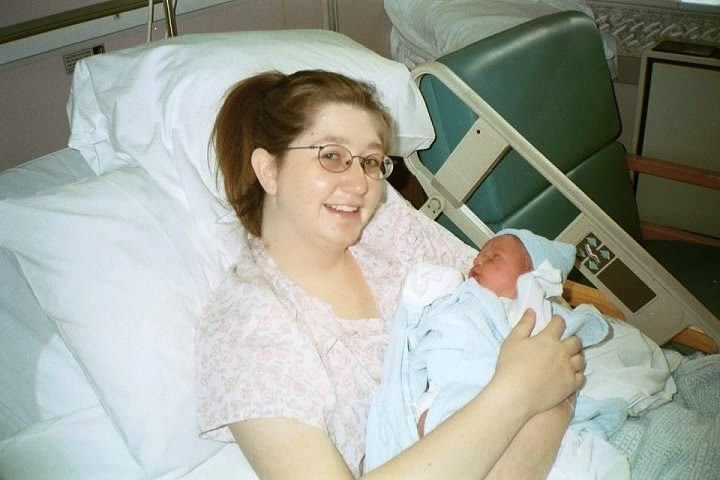 I'm going to come back later today with my daily happy post about Josh's birthday, but this post is just me trying to figure out how in the world fourteen years have gone by in the blink of an eye, lol. I'm super excited about Josh's birthday today, like I always am about birthdays, but this one is hitting me hard today for some reason. You would think 13 would be harder. It's the official introduction into teenagehood and all that. But for some reason 14 has been harder. Maybe each birthday he has will from now on will be harder because it means he's that much closer to leaving home. When your kids are little you think you have a million years until they go off to college and get married and have a life of their own. Even when he was thirteen it still felt like a long way away. But I don't know. Fourteen. Maybe it's because I recently registered him for high school that is making his exit from the house seem that much more imminent. All of a sudden I'm seeing him getting his drivers license soon, starting to really date, becoming this grown up person and then leaving the nest. Because of his advanced high school, he starts taking college classes in two years!! And I'm not going to lie, it's making me panic a bit!! In four short years I'm going to be the one posting graduation pictures and prom pictures and college acceptance letters. You know how long Clarissa's has been home with us? Four and a half years! Four and a half years flew by like five minutes. Whew. Ok. So my kid turned 14 today. And I'm totally cool with that. You know, whatevs. Please make the next four years move by slowly.